This month, NMX speaker Jessica Northey hosted a twangout (a Twitter/Google+ chat) with some special NMX attendees: NMX/BusinessNext keynoter Guy Kawasaki and NMX closing night performer Gwen Sebastian. For over an hour, Guy answered questions and talked about music, publishing, social media, and more. If you missed the twangout, check it out below. And be sure to join in on the fun at NMX and BusinessNext in January! 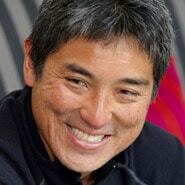 Want to see Guy Kawasaki live and in person? His keynote is Monday, January 7 at 8:30 am. We hope to see you there! Note: The discount mentioned at the end of the video has since expired. Amber Avines blogs at Words Done Write and runs a successful communications consultancy in Los Angeles. You can connect with Amber on Twitter at @wordsdonewrite. I watched the full hour and was entertained the whole time. It’s fun to see people just being real. Thanks for hosting it, Jessica.